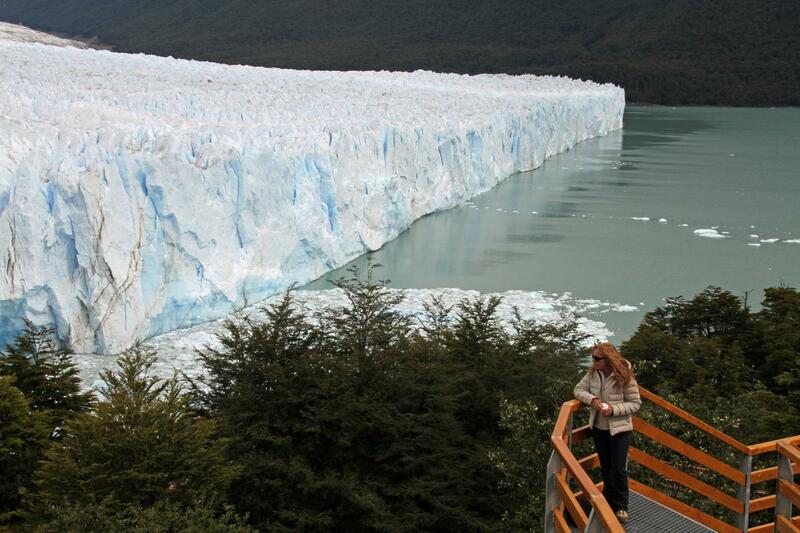 View the Perito Moreno Glacier from the walkways overlooking the glacier. Watch and listen to the falling ice from the glacier into the water. View and enjoy the glacier's surrounding environment. Hotel pick-up/drop-off to/from hotels in El Calafate. Boat ride in front of Perito Moreno Glacier’s wall. The departure time from your hotel will be between 07.00 am and 09.00 am. Your exact pick-up time will be confirmed on the previous day of the tour. Take in the rare and breathtaking beauty of the Perito Moreno Glacier, one of the UNESCO JEWELS. The tour guide will pick you up at your hotel in the morning for a full day tour on the Perito Moreno Glacier. On the way to the park, they will explain the importance of the glacier and share interesting details and facts about the park and Perito Moreno. Your first stop will be at a series of walkways for views of the glacier and to take photos. From there the bus will continue and you will get to see the amazing views and natural beauty that the park has to offer. You will get to walk along the walkways to see the glacier and watch as the chunks of ice break off and crash into the water. At the end of the day the bus will take you back to your hotel.